With over 1 million systems engineered and executed, we’d love to be the experts you chose to rely on from start to finish with your greenfield project. Our project services team is available to help you months before ground breaks, to assist with a plant and system layout that increases efficiency. Our sales team will work with the project services team to make sure that you have the equipment you need, perfectly sized, and on time. Our installation team can be there when the equipment arrives, to get you up and running at the earliest possible date. Conair is the perfect company to partner with to help navigate the sometimes difficult waters of creating a new facility. Need one loader? 100 loaders? 20 Thermolators®? 2 Dryers? High-heat blenders? An entire downstream extrusion line? Whether you need one piece or hundreds, Conair has what you need. 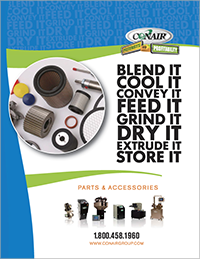 Conair has some standard pre-configured equipment in stock, ready to ship when you need it. Whether you need a quote for budget purposes, or need a Thermolator to arrive tomorrow, we have the sales, manufacturing, and shipping team that can get you what you need, when you need it. We know you want a quality manual with your equipment. We pride ourselves in providing the best user guides in the industry. In this section, you can view and download a manual to help you install, operate, maintain, and troubleshoot your equipment. Looking for a manual for an obsolete piece of equipment? We have that too. Check the tab and click on Service, Archive Manuals. 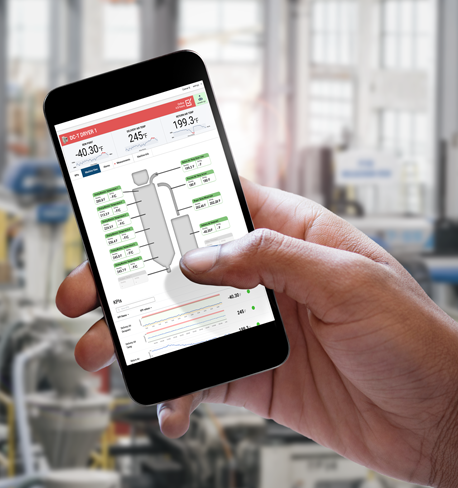 Get the ultimate Industry 4.0 IIoT (Industrial Internet of Things) solution for your equipment and watch your profits grow while production downtime disappears. Conair SmartServices™ is a unique cloud-based platform that offers the ability to connect all of your equipment (even non-Conair equipment) to a single web-based dashboard for monitoring, alerting and AI (Artificial Intelligence) based algorithms. SmartServices allows you to view each machine graphically to make equipment monitoring a breeze. Observe – from any location – all equipment set points and live data and get feedback on the performance of your equipment instantly. Get your Uptime Guaranteed™ with SmartServices and experience the only true Industry 4.0 solution available today. 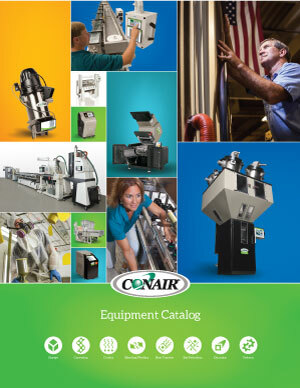 With over 450 available products, we have the most broad selection of equipment for all your processing needs. If you can’t find what you’re looking for, feel free to contact us by phone or email. We’d love to help you. We have over 1.5 million parts in stock, ready to ship. We have parts dating clear back to 1965. Yes, there is equipment out there from the 60’s, 70’s, and 80’s still running strong. We ship parts in under 6 hours, 7 days a week.